My wife often complains that I am a hard man to shop for during the holiday season. Partly because I already have too many comic books and board games, but nonetheless it can be quite tricky shopping for the comic loving person in your life. 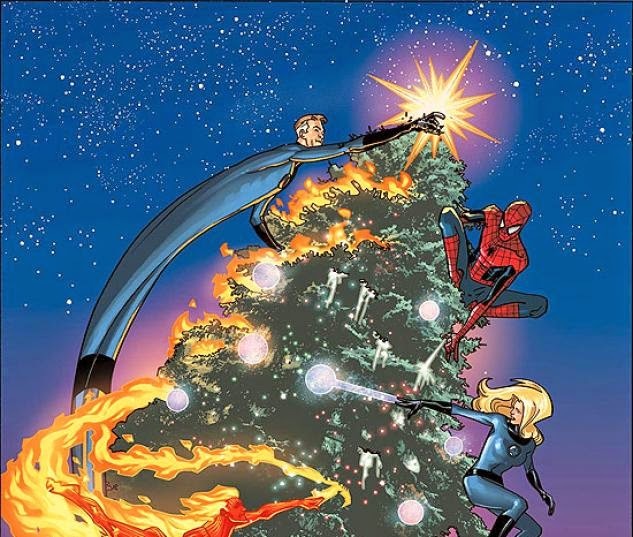 In lieu of my weekly comic book round-up, I thought it might be helpful if I provided some handy comic related gift suggestions. With licenses like Hell Boy, Chew, Locke and Key, and Mouse Guard, there is a good chance that the Skeleton Crew Studio will have something unique. 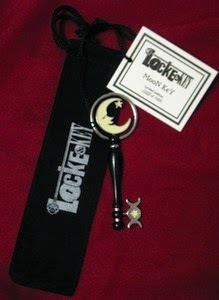 I have a number of their products (some Locke and Key keys and a pink Chog) and their attention to detail is stunning. Somehow Boom! 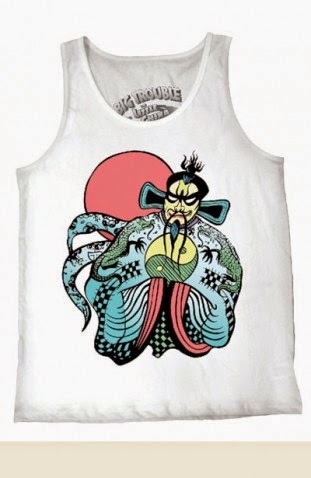 Studios acquired the rights to produce officially licensed Big Trouble in Little China tanks. For the inner Jack Burton in all of us, these extremely limited shirt will without question be one of the biggest hits this holiday season. It is going to take crackerjack timing as only 200 of these babies are being printed! Do you know someone who isn't afraid to jump into a new series? Someone who looks forward to the big events despite the repercussions (there usually aren't any real repercussions) that may occur? 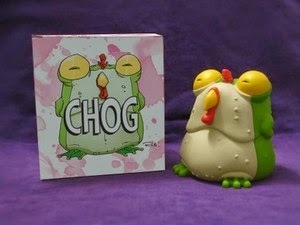 If you don't mind taking a stab in the dark, the good folk at J and K Stuff offer custom mystery boxes. 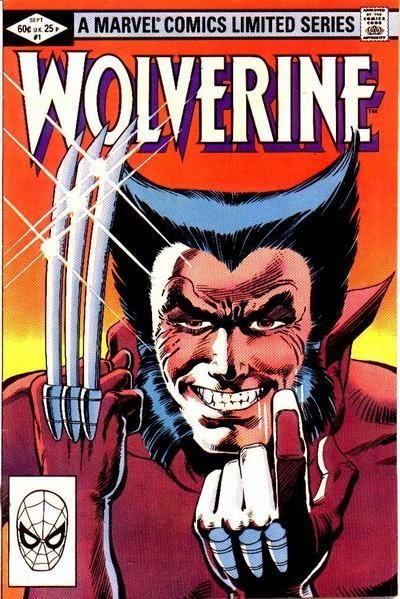 They range from $10 to $100 and they even offer a mystery Wolverine box. The items are guaranteed to be new and the value is guaranteed value of the purchase price. I have seen some posts of people's hauls on various forms of social media and these are a lot of fun. Unless someone tells you, it is usually quite difficult to know what comic to actually purchase for someone. What if they already have it? If you are concerned about these things, but know what types of comics they are a fan of, you should consider getting him or her a limited edition trade. 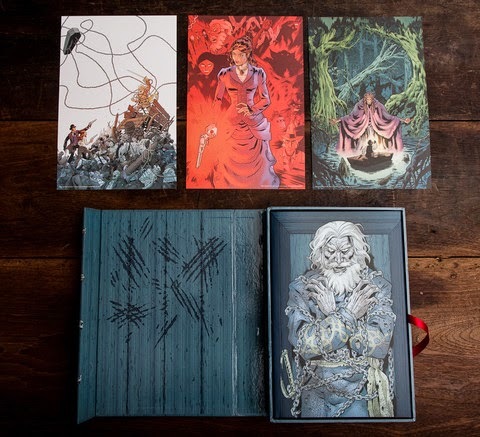 One of my favorites is the Sixth Gun: Gunslinger edition (limited to 1,000 units), but if you want some more options you should really check out IDW Limited. They offer a range of items from G.I. Joe to My Little Pony. 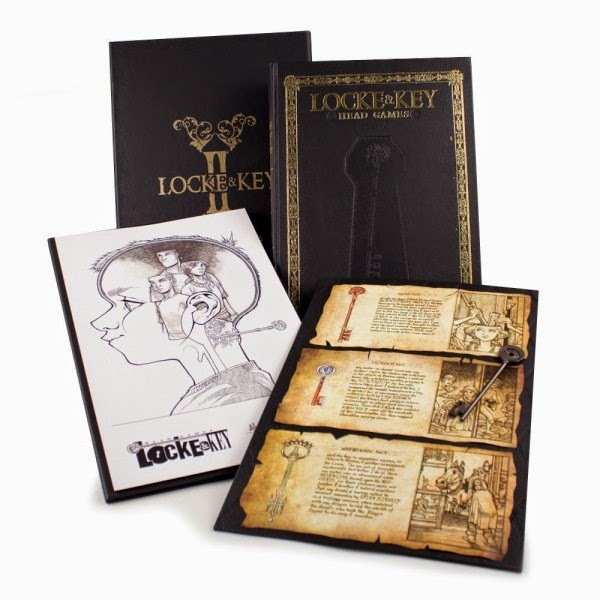 While you are there feel free to order me a shiny Locke and Key Black Label book. I'm not picky and will accept any of them. POSTED BY MIKE N. aka Victor Domashev -- comic guy, proudly raising nerdy kids, and Nerds of a Feather contributor since 2012. Picture Window theme. Theme images by duncan1890. Powered by Blogger.